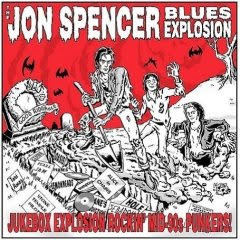 * Jukebox Explosion by The Jon Spencer Blues Explosion. I've missed Spencer in all his get-down gonzo glory. Heavy Trash, Spencer's latest rockabilly duo with Matt Verta-Ray is kind of fun, but it's just a light snack compared with the all-you-can-eat, Hound Dog Taylor-on-angel-dust banquet that was the Blues Explosion. The JSBE seemed to be everywhere in the mid 90s. (They once opened for The Breeders at a Sweeney Center show here in Santa Fe.) The trio has released a couple of albums early this century, but none since 2004. This is a collection of old singles that before now had been available only on 7-inch vinyl, which means only serious collectors had ever heard this stuff before. Fans won't be disappointed. All 18 tracks are joyful and noisy with Spencer howling like a soulman caught in a subway wreck. 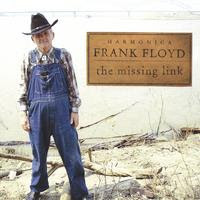 * The Missing Link by Harmonica Frank Floyd. The first time I ever heard of Haronica Frank was in Greil Marcus' epic Mystery Train, in which he was the subject of the first chapter. Floyd was an archetypal American ramblin' trickster, picker and grinner, traveling the South in medicine shows and street corner concerts. He also was a true rock 'n' pioneer, recording for Sun Records in the early '50s -- even before Elvis. This was recorded live (in Memphis schools) and in the studio in 1979, a couple of years after Mystery Train was published and a few years before his death. He sounds like a geezer here, (he was in his early 70s) almost like a cross between Hasil Adkins and Doc Watson. Frank and Hasil could have had a lot of fun together on "Shoop-a-Boop-a-Doodler." The between-song patter is nearly as much fun. You learn Frank loves all kinds of music -- except that granda opera. He just hates it. And don't miss the wild bird calls in the track called "Without My Teeth." 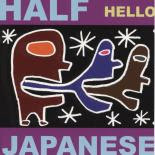 * Hello by Half Japanese. This is a band, led by geek savaant jad Fair that I've been slowly discovering (over the past 15 years or so). This is a 2001 release featuring a good tight band with The Sadies' Dallas Good on guitar. It's not quite as loosey goosey joyful as Sing No Evil, the last Half Japanese album I downloaded from eMusic (which I just realized is no longer available on eMusic!). But it's worthwhile. And "Mississippi," an electric organ and drum-driven dragstrip instrumental, is such a blast it's a wonder that Quintin Tarantino's never used it in a soundtrack. 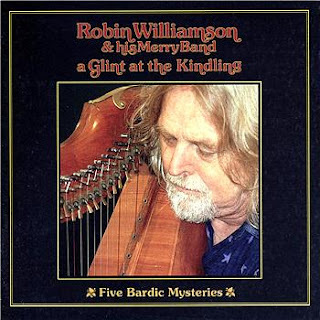 * A Glint of The Kindling and Songs of Love and Parting by Robin Williamson . Some sheer Pagan joy by Williamson, who was half of The Incredible String Band. Glint was recorded with The Merry Band, which included harpist Sylvia Woods, while Parting was a solo album. Some of these tunes will take you back to the time when Druids roamed the Earth, a pastoral time when people expected their political leaders to be poets and singers. (Them was the days!) This is British folk-style music, yet little of this material sounds musty or academic. Perhaps for nostalgic reasons, I just downloaded the original albums here, skipping, at least for now, the spoken word Five Bardic Mysteries bundled with the former or Selected Writings 1980-83 tacked onto the latter album. Both these albums made up a cassette tape my friend Parris made me, a tape that turned out to be one of my most played in the 1980s. *Blues Masters Vol. 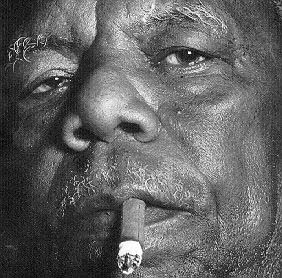 6 by Champion Jack Dupree. You might notice I'm posting this fairly late in the month. I've been so busy this past few weeks -- Christmas, my campaign-trail travels, the start of the Legislature -- that I haven't been downloading much from eMusic and in fact came within hours of losing 17 tracks. (As I've explained before, you have to download all your monthly allotment before your account refreshes, or you lose what you've got left over) Usually I get my 90 downloads within a couple of weeks. So I was looking at new stuff available in eMusic's blues question and came across this. Bingo! Just a few nights ago I heard BC play a Champion Jack tune on KSFR's Blue Monday and liked it so much I thought I should check to see if eMusic had any good Dupree material. Double bingo! This abum has exactly 17 tracks. New Orleans-born Champion Jack (1909-1992) was an ex-boxer who punched the keyboard like a sparring partner. His percussive barrelhouse style is unique but pure New Orleans. This album is full of standards -- "Sportin' Life," "CC Rider," "In the Evening," "Rock Me, Mama," "Tomorrow Night." But sometimes, such as his solo on "Careless Love," he makes an old song sound like something completely new.